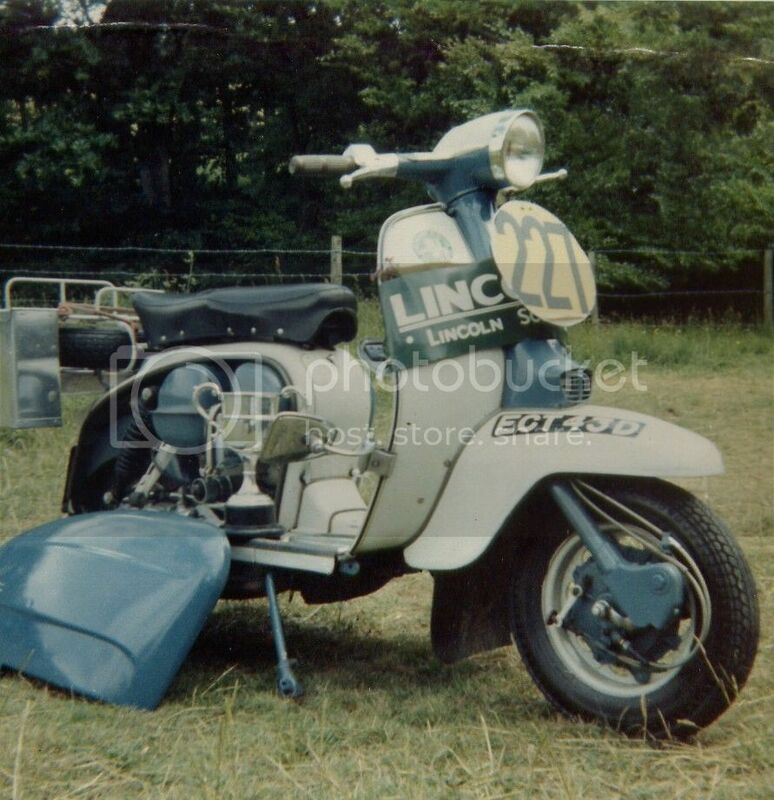 My first was the LI150 (seen below) bought from Grantham in 1966. After going to 1 or 2 rallies I became obsessed with the concours de elegance (might not be spelt right) competitions and after much time and effort I began to have good results. 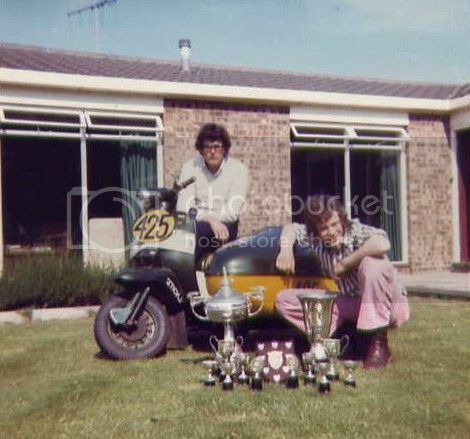 The photo is the scooter and the winners trophy at the IoM in 1968. 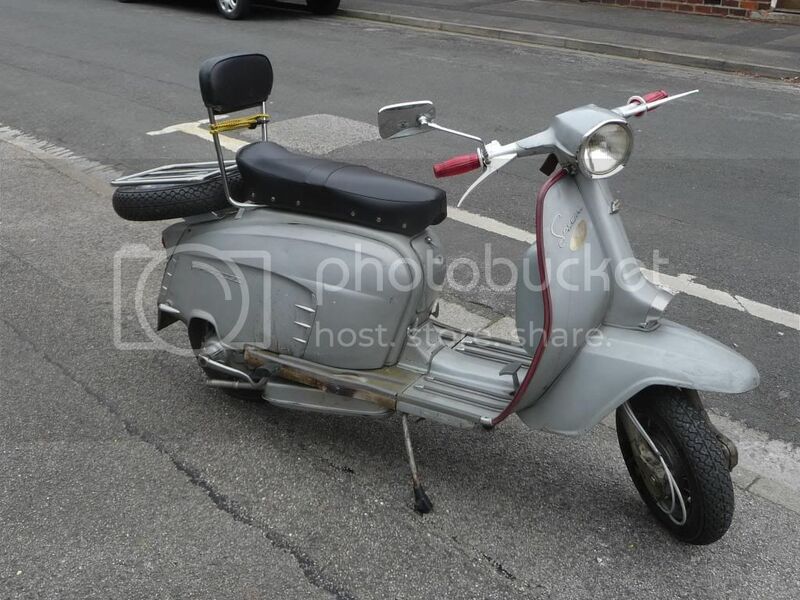 I moved on in 1969 and bought a red GP200 from Wests in Lincoln. Here it is at the IOM in 1970. I decided a colour change was needed so over winter I re-sprayed it a metallic Hillman Avenger colour, cedar green with black bits. 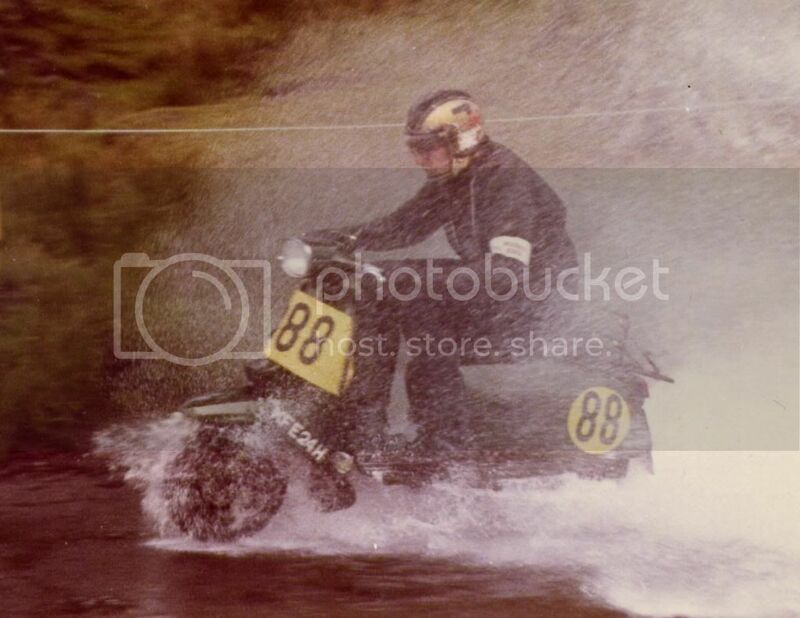 Here it is at the IoM in 1971 going through the water splash and at the Lincoln Poachers rally that year winning the concours. 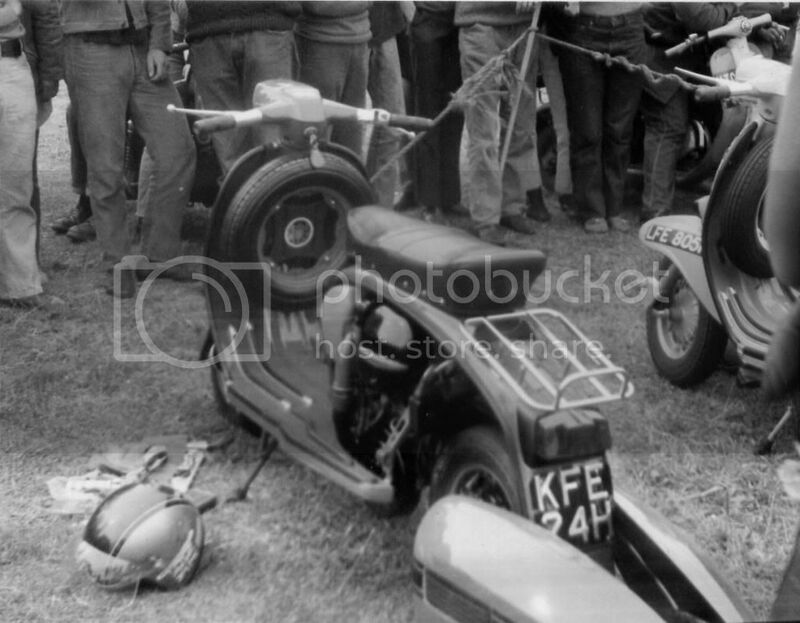 The problem with having a concours scooter is you did not want to use it for sporting trials or rough rides so I had several other scooters for 'having fun' this is an old series 1 I used at the Battle of Edge Hill sporting trial in 1973. 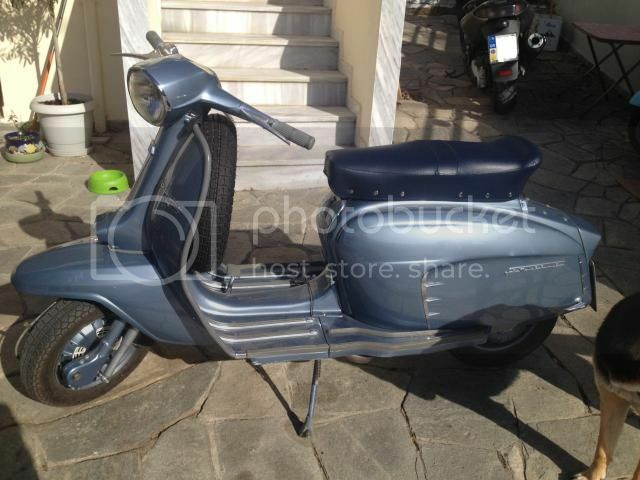 I was looking for a change so I bought an old sidecar and fixed it to a series 2 that I had put an SX 200 engine in. Once you get used to driving them sidecars are great fun but at first they are very frightening especially on lefthand corners. 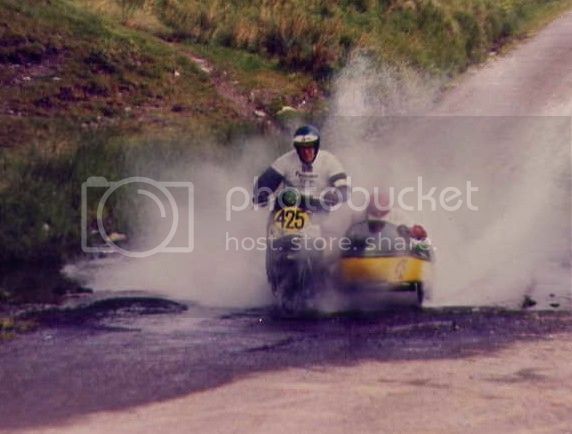 By 1973 I had learned to handle the outfit well so well in fact me and my passenger Richard Bull had a fantastic year at the IoM. The first photo shows us going through the water splash and the second is the trophies we won that year on the Island. I continued riding the combo for some time touring Europe but as always seems to happen lives change and by the late 70's I had to part with it and all my scooter bits. 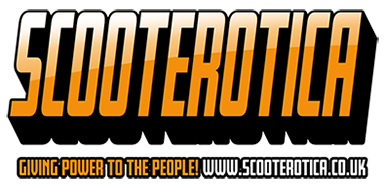 For years now I have had a desire to get back into scootering and last May (2013) I bought a Silver Special import from the Scooter Emporium. After making it roadworthy and going though the NOVA and registration I got it on the road. I was great riding again despite the fact the engine was knackered, oil seal and poor compression, I was determine to enjoy the summer on it. I completely overhauled over the winter and bored the cylinder to 175. It's now run in I going very well. Photo below. looks the business Enjoy it . G .
Great post and pics Tractorman - Thanks!! Great pics, thanks for sharing Tractorman!